The new Open-F @ b Call4Ideas is prepped and ready. The international competition promoted by BNP Paribas Cardif in partnership with InsuranceUp.it, this year will be also joined by Openup, the digital platform developed by BNP Paribas, that link start-uppers and team members, and by Medici, the consulting platform Strategic for innovation in Fintech and supported by the largest startup network in the industry with about 8,000 companies listed. Investments scheduled for the fourth edition of Open-F @ B Call4Ideas, amount to 400,000 euros in four years, distributed among the various winning projects that will now have the opportunity to present their project to C Entrepreneurs Fund, the Venture Fund Capital of Bnp Paribas Cardif. Here is the launch video of the new contest with the results of previous editions with the winners who are collaborating with the Insurance Carrier in the development of new products: Pet Tracker, Amyko, Spixii, Amodo. Preventive Insurance is the focus of this new edition. It is pretty topical and anticipates what is the future paradigm for insurance carriers to implement and take advantage of new sophisticated technologies enabling to establish new relationships with customers and define new business models. “Innovate to prevent, support and protect”, this is the slogan of BNP Paribas Cardif, among the top ten companies in Italy, wishing to have its role as “preventive insurer”, creating tomorrow’s insurance, based on prevention, assistance and interaction models with the customer, rather than merely compensation. According to the PwC report on “Connected Insurance”, the issue of Preventive Insurance will be increasingly important over the next few years: Sales forecast for Wearable device health-related in 2019, will reach 245 million units, tripling the figure for 2015; In the Smart Home area, the number of home smart devices will grow by 50% up to 2019, reaching between 500 and 700 million units in 2020; As far as mobility is concerned, the Italian market is one of the most mature in terms of connected cars, even if in the period 2017-2022, a further growth in revenues of 24% per annum is forecasted. In this background, being “Preventive Insurer” means ensuring prevention in the field of smart home as in the personal one. An advantage for businesses and for customers as well: on the one hand, cost reduction, on the other, personalization of services and greater protection that in many cases can be a real defense. BNP Paribas Cardif is interested in collecting proposals, solutions and ideas that can deliver new solutions of prevention, safety and well-being of new consumers. • digital platforms, connected devices or services designed to prevent or mitigate risks, mainly focused on health, housing and mobility. 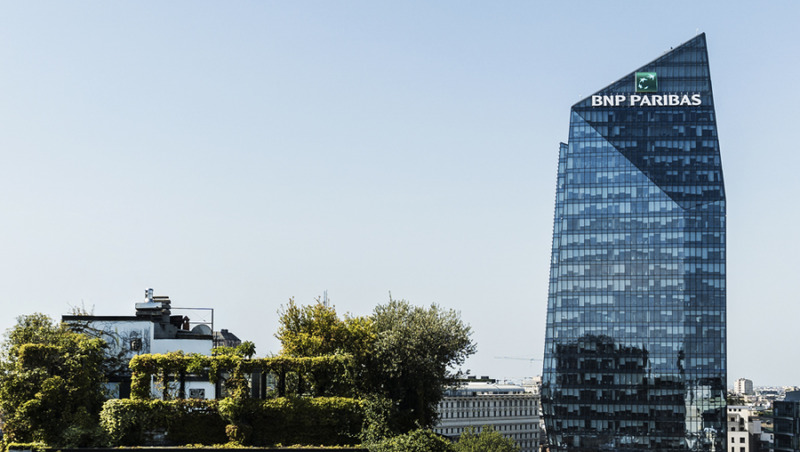 The creators of the most innovative ideas, chosen by a Committee made up of BNP Paribas Group and BNP Paribas Cardif executive, university experts in digital technologies, and professionals, will receive support of the BNP Paribas Cardif R&D Department to develop the idea, taking into account the needs of the market and the Company. Finalists will present their proposals during the final event open to the public, where the 3 most innovative projects chosen by the Evaluation Committee will be awarded. The winners will then be supported by the Company in the development and realization of their project. All finalists will also be included in the MEDICI database, will benefit from marketing and visibility services for an amount equal to € 1500.00 and their project will be presented to C Entrepreneurs Fund, Bnp Paribas Cardif Venture Capital Fund.